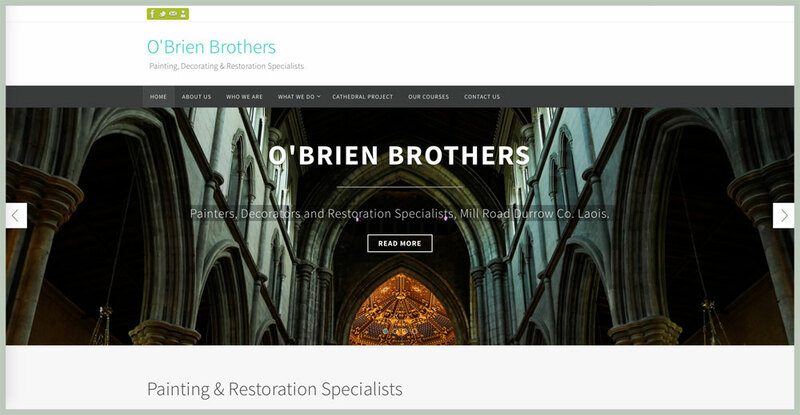 A website designed for O’Brien Brothers Painting Contractors, who work mainly in specialist area’s, such as restoration, guilding and gold leaf. O’Brien Bros Painting Contractors Limited, is a family business founded in 1918, with almost 100 years of professional experience in providing industrial, commercial and private professional painting services, decorating, restoration and specialist coatings. To view the website just follow the link below.